“Primum non nocere” is a Latin phrase that means “first, to do no harm.” It’s a phrase associated with the medical profession; an oath taken by doctors. What if we all took that oath and lived our lives dedicated to not hurting others; essentially eliminating all forms of violence, aggression and abuse. That’s probably a utopia we’ll never see, but we should certainly work towards this ideal and, until that day comes, try and make sure the ones who don’t want to harm outnumber those that do. 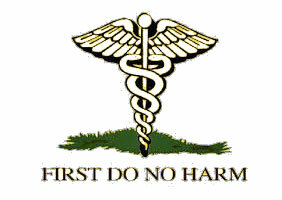 There’s another equivalent phrase found in the Hippocratic school: “…either help or do not harm….”. I think this speaks to what we do at Freedom; helping and/or preventing things from getting worse. At Freedom, our priority is certainly to serve the needs of our members, but we can also help improve their financial condition by providing education, reducing expenses, creating budgets, helping build savings, and so on. There is more to Freedom than just cashing a check or approving a loan. We can help members avoid problems or prevent a worsening financial scenario. In this regard, Freedom is not only a financial institution, but a financial health provider. Stop by for a checkup.